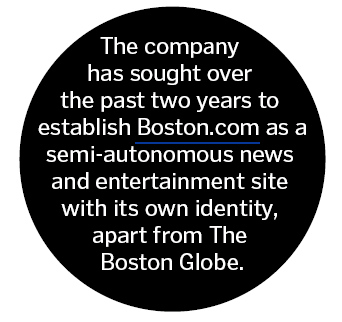 The Boston Globe’s Boston.com website has gone Chernobyl, with two recent masthead departures and 12 staffers laid off yesterday. 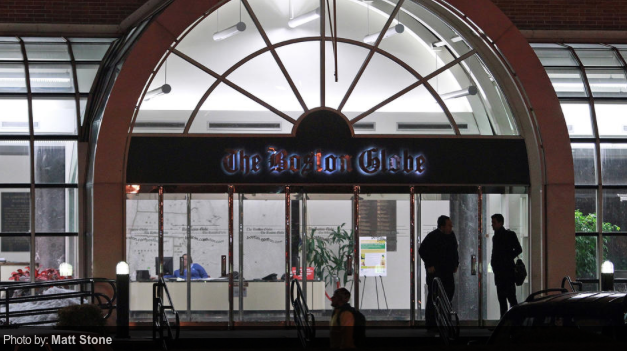 A dozen employees were laid off today in a shakeup at the Boston Globe’s Boston.com website, a company spokesman has confirmed. Today’s layoffs follow the recent departure of the website’s editor-in-chief, Tim Molloy, and general manager, Corey Gottlieb, and are part of a change in “operational vision” for the website, Boston.com said. Spokesman, statement – whatever. Sure looks like no one at the Globe was willing to talk to the feisty local tabloid. But they’re certainly talking to themselves at the Globe. That item – tucked into the Talking Points column in the print edition – is buried like Jimmy Hoffa on the website. Regardless, we’re still left wondering whether the Globe wouldn’t talk to the Herald’s Owen Boss, or if they missed connections, or . . . something else. So we’ll send him an email and keep you posted. This entry was posted on Wednesday, September 16th, 2015 at 1:23 pm and is filed under Uncategorized. You can follow any responses to this entry through the RSS 2.0 feed. You can leave a response, or trackback from your own site.